Till his graduation, Mustafa Icil worked part time in several different technology companies. In 1994, he started working in Microsoft’s Chicago office as the IT Administrator. He then moved back to Istanbul accepting the Systems Engineer role in Microsoft Turkey. In 1998, he moved to marketing taking Windows Product Marketing Manager role. In parallel to this role, he also worked on Microsoft’s strategies on emerging countries and led the project team working on increasing the PC penetration in Turkey. In 2005, he transferred to Apple IMC as the Marketing Manager and for 2 years executed the marketing strategies for Apple and Adobe in Turkey. With this role, Mustafa Icil was chosen as one of the “Top Marketing Managers in 2006” by Capital magazine. In 2007, he moved to Google as the Country Marketing Director for Turkey. He expanded his responsibility to cover Greece in 2008. 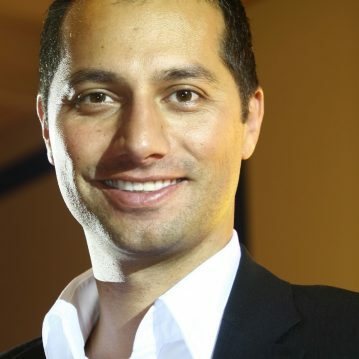 In 2009, he became the Regional Marketing Director for Google Turkey, Middle East and Sub Saharan Africa. As the Google Regional Marketing Director, he was responsible for brand management, product and market strategies, channel programs, SMB sales activities, strategic partnerships and broader projects to richen internet usage in these countries. In addition, he was also the global marketing lead in the Emerging Markets Council for a year, which was a task group setting the expansion strategies of Google to emerging markets. In 2013, Mustafa Icil started his own company focusing on keynotes, seminars, workshops and consultancy services on Strategic Marketing, Marketing Trends and Leadership.